If you need an emergency dentist in Moonee Ponds or Sunbury, you can count on the Smile in Style team. 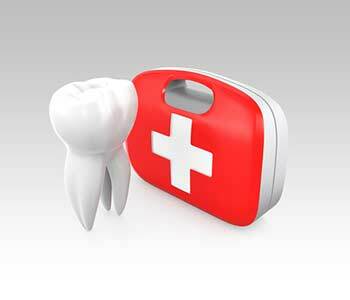 We offer a full range of emergency services, and we have seen many different types of dental injuries. 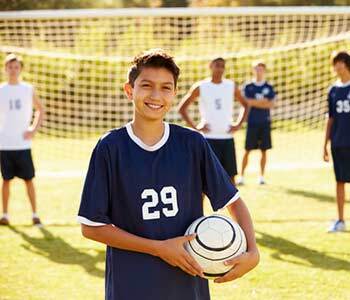 However, a high percentage of dental injuries, especially in children, are related to athletic activities. The good news is that we can get you out of pain quickly and provide restorative treatments to correct virtually any kind of dental damage. The even better news is that many of these emergencies can be avoided with proper use of protective gear. Helmets are essential for bicycling and other high impact or high-speed activities. They can help prevent serious head injuries, and full-face helmets also offer protection from oral injuries. Choose a high-quality helmet that fits well and is appropriate for your sport of choice. Mouthguards are estimated to prevent hundreds of thousands of dental injuries annually. A good fit is a key to both comfort and maximum protection. A mouthguard should be snug enough to stay in place, but not uncomfortably tight. One-size-fits-all or boil-and-bite styles available at retail stores are usually sub-optimal. Wearing a custom-made mouthguard is one of the best ways to protect your teeth during impact sports. This is evidenced by a study published a few years ago in the Australian Dental Journal (Vol 59 No 4). Researchers examined amateur rugby union players’ rate of oral injuries and complications. 73 percent of players who wore custom mouthguards were happy with their appliances, as compared to 39 percent of those who wore “boil and bite” or stock mouthguards. Players who used custom-made mouthguards wore them more frequently and had fewer complaints than those with mass-produced appliances. 97 percent of players agreed that mouthguards are important. However, just 77 percent wore them, and not always for every game and practice session. Overall, one-quarter of players who experienced dental injury suffered subsequent complications, with tooth loss being the most common. When analyzing only those who were wearing mouthguards at the time of injury, the complication rate dropped below 19 percent, with about 10 percent losing a tooth. Players wearing mouthguards were significantly less likely to experience damage to the teeth. For example, 56 percent of players were wearing mouthguards at the time, but only 37 percent of those with fractured teeth or roots were mouthguard wearers. Authors of the above-discussed study also noted that more than one-quarter of players who suffered post-injury complications had declined professional treatment. They theorised that the overall complication rate may have been lower if all players had received appropriate, timely medical and dental care. Apply pressure to the wound if it is bleeding heavily. If there is serious injury beyond dental trauma, such as facial lacerations, broken bones, or a possible concussion, go to an emergency department. For an oral injury, call Smile in Style right away. We will see you as soon as possible and work to get you out of pain and back smiling. Be sure to let us know if a tooth has been knocked out because reattachment is possible, but the timeframe is very limited. If a tooth or dental restoration breaks, save the pieces and bring them with you. If a tooth is knocked out, keep it but be sure to handle it gently. Reinsert in the socket if possible. Otherwise, store it in a clean container with milk. We strive to see emergency patients as quickly as possible. The first goals of treatment are stopping the pain, bleeding, swelling, and other symptoms. Restorative procedures may be completed immediately, or we may take temporary measures and arrange a schedule for more extensive treatment. This varies greatly, depending on the nature of your injury and your other dental needs. Most importantly, don’t delay – when you need an emergency dentist in Moonee Ponds or Sunbury, call us right away.